From the Lucayan Indian word meaning “two islands”, and known around the world simply as “Bimini”, North and South Bimini, along with their smaller neighboring cays, make up this group of Bahamian islands situated on the edge of the Great Bahama Bank, overlooking the cobalt blue waters of the storied Gulfstream and Florida Straits. 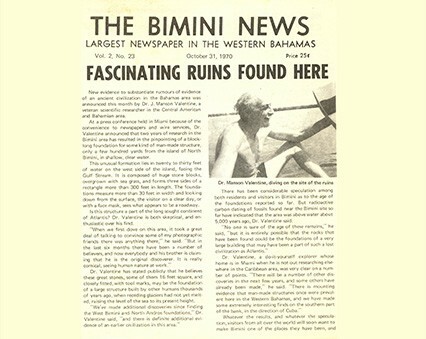 While prosperity came and went quickly during the 1920’s and the era of Prohibition, the enduring appeal of Bimini was first popularized in the 1930’s by the exploits of noted sportsmen, industrialists and philanthropists who ventured to Bimini for world-class fishing. Legendary angler Zane Grey and his captain, Tommy Gifford, recluse Howard Hughes, and retailing genius turned scientist/naturalist Michael Lerner all collaborated in turning Bimini into the “Big Game Fishing Capital of the World”. It was this celebrity, and friendship with Lerner, that brought novelist Ernest Hemmingway to Bimini in 1935 – where he drank, brawled, and wrote his way through several fishing seasons, travelling back and forth between home in Key West and his beloved “Island in the Stream”. Tournaments attracting anglers from the far corners of the world became common as Bimini’s reputation for giant blue marlin and bluefin tuna blossomed. Today, the schools of giant fish have moved on, with record catches the exception, not the rule. The island tempo has returned to a more leisurely pace. With its convenience to the mainland, Bimini remains a popular destination for boaters. Recreational fishermen have mostly replaced the professionals, and have expanded their interests beyond the pursuit of giant marlin. Owing to a unique seagrass habitat and endless miles of shallow flats, Bimini is a particularly popular bonefishing destination. The flats comprising Bimini Bay off North Bimini Island are now part of the Bahamas “Marine Protected Area”, ensuring a healthy bonefish habitat for generations to come. The “Big Bones” of Bimini are not just stories. You’ll find them in the IGFA record books! The gin-clear waters surrounding Bimini have given rise to popular year-round recreational diving. Uniquely situated on the edge of the Continental Shelf, Bimini offers some of the most interesting dive sites in the Bahamas, and is consistently ranked one of the world’s top dive destinations. From a leisurely dolphin encounter to an adrenaline filled shark encounter, from a wall dive to a snorkel along the mysterious “Altantis Road” – an ancient, underwater arrangement of stones that has baffled natives, mystics and scientists for generations – Bimini offers something for the diver of every skill level. Bimini continues to retain its allure for the water sports enthusiasts. Alice Town is a colorful out-island port of call, complete with character and the characters that give it a special personality. On an after-hours stroll down Kings Highway, new and returning visitors are as likely to run into Jimmy Buffett as their neighbor from down the street back home. For each, Bimini is their “Island in the Stream”. The Legend is Born. 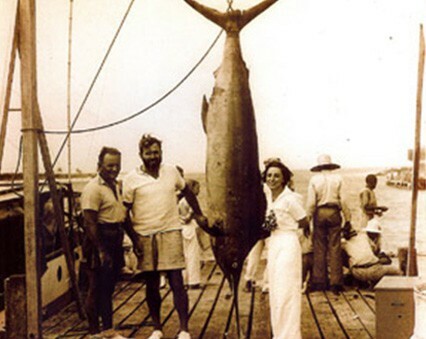 Nassau entrepreneur and bon-vivant, Neville Stuart, opened the “Bimini Big Game Fishing Club” in 1936 and began organizing big game fishing tournaments, attracting sportsmen from around the world. Originally a formal dining club, with tuxedo and tie as the preferred attire for gentlemen, the club moved to its current location in 1954 with the completion of a marina and six cottages for visitors.Ever the promoter, Stuart published the Bimini Bugle, offering a weekly chronicle of life on Bimini, and in his spare time, built the town’s first power plant that truly lit up the streets. In 1963 the main hotel building opened, firmly establishing Alice Town as a mecca for big-game fishing. The Club was later acquired by the Bacardi family, and underwent two years of renovation that included the new marina, complete guestroom renovation, new fuel facilities and a host of other improvements. 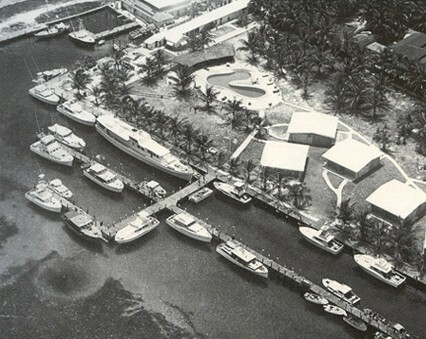 The Bacardi’s reopened the legendary resort in Spring, 1972 and positioned it as one of the world’s foremost big game angling resorts until its sale in 2000. Today, after several brief ownership changes the Big Game Club carries a familiar vision to make the Club legendary for Out-Island hospitality and sportsmanship. Your hosts at the Big Game Club are honored to be the custodians of the club’s legacy, ensuring its continued reputation as a world acclaimed destination for discriminating sportsmen and their families.